A lightweight bomber style jacket, with a slight feminine form. Uhip a fantastic Swedish Design Company that knows exactly what a rider needs and wants, but their clothing doesn't just stop with the equestrian market, they are fantastic for ALL active women and children. The jacket is stitched in a diamond quilted with Sorona See Pro insulationfrom DuPont, an insulation that provides maximum warmth, low weight, which is produced by using a renewable plant based ingredients. The endings of the sleeves have been designed with a nice wrist warmer and the jacket is perfect for any activity in Spring/Summer/Autumn. Uhips zippers are of high quality and they will sustain if you use them with care. make sure you assemble the two-way properly before you zip up. Wash your Uhip garment in 30-40 degrees. You can tumble dry if you wish on low, or you can hang the garment up, or dry flat, it will dry quickly. Do not forget to close the zips. Take tight measurements where you are the widest. 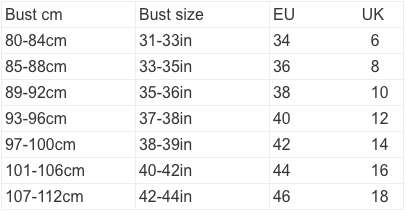 You will have room for an extra layer under you coat/jacket if using this size chart.